So did you and your family get to an apple orchard this fall? We found an awesome orchard that is about 30 minutes from where we live called Quarry Hill Orchard and it was the perfect apple orchard for us. I've been to many of them over the years and I really prefer the ones that keep the focus on the apples with apple picking and apple cider! This particular orchard was even dog friendly and allowed us to bring Lincoln. He experienced his first apple and even had a little taste of apple cider. He loved them both! 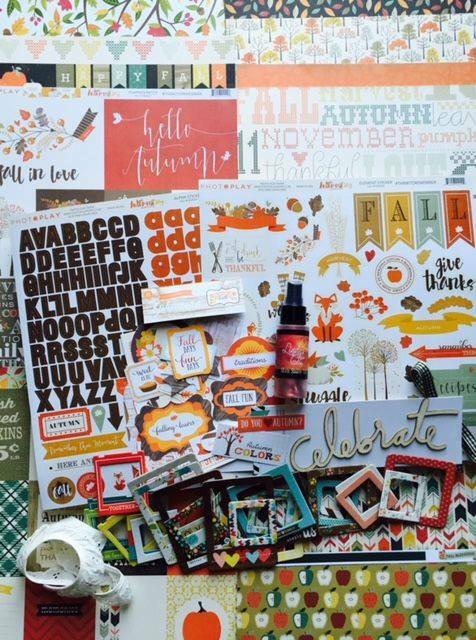 To help me capture the memories of this special day, I used the My Creative Scrapbook November Main Kit. 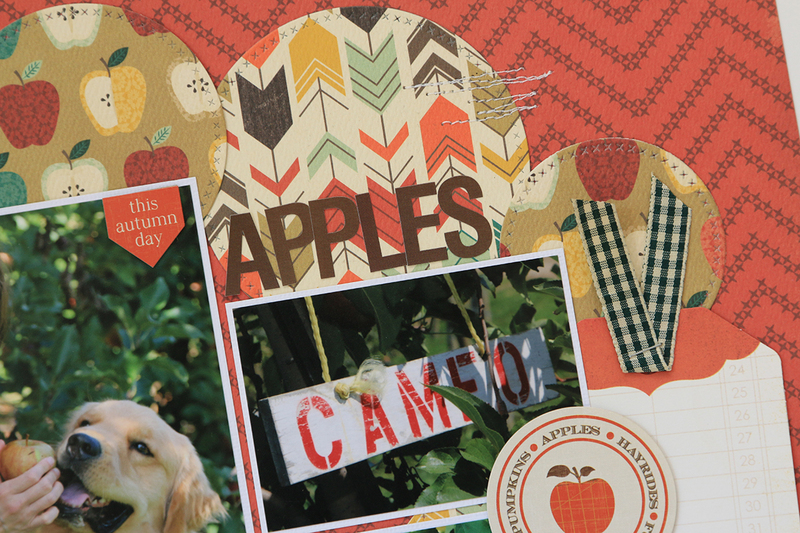 I die cut several of the patterned papers from the kit using MFT Stamps Cross-Stitch Circle Stax. I love how these dies continued the cross stitch theme that is already on the background paper I used. To further continue the stitching theme, I also used my sewing machine to add a little stitching. If you don't have a sewing machine you could also do some hand stitching or even draw them using a marker. 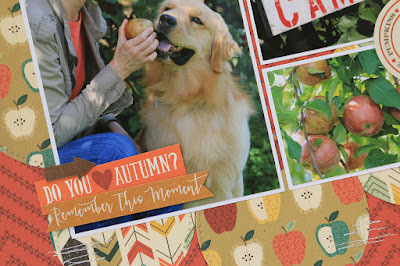 Here is a peek at the My Creative Scrapbook November Main Kit that I used to create the layout I shared with you all today. It is full of awesome products from Photo Play, Carta Bella, Heidi Swapp, Echo Park, and Simple Stories. Make sure to visit the My Creative Scrapbook Design Team Gallery for even more inspiration from the rest of the MCS Design Team. 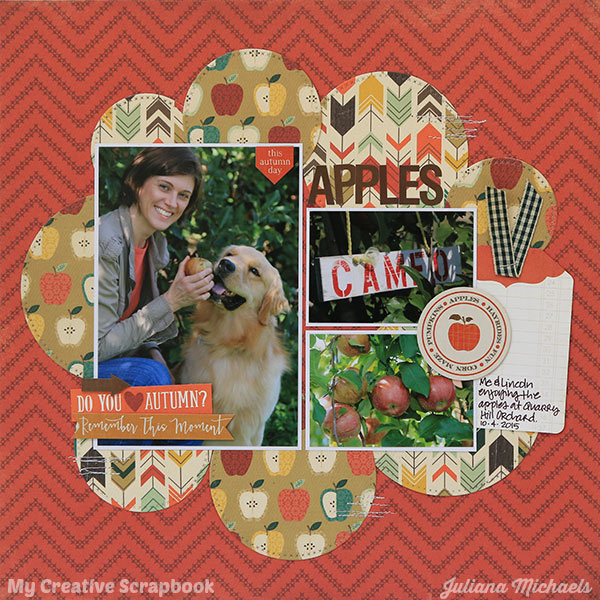 My Creative Scrapbook offers several monthly kits and subscription options. No matter what your style is, you are sure to find a kit that is perfect for you! My Creative Scrapbook is now accepting new members. Visit My Creative Scrapbook to learn more. Fabulous! Love the ummmm.....'apple' shapes! Crazy fun patterns in there, too:):)!! !